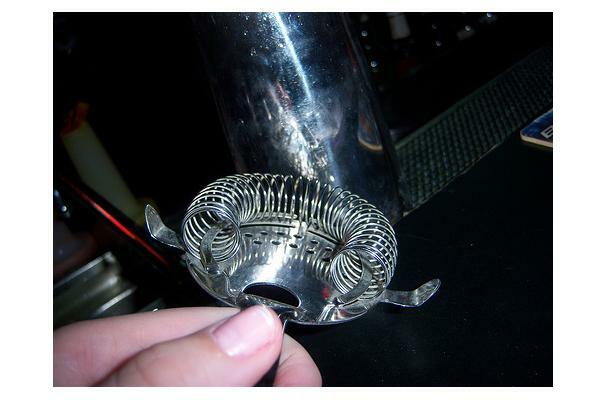 A bar tool shaped to fit in a beverage shaker or tumbler. It is used to keep chunks of fruit, ice, and other ingredients from entering the glass as a beverage is poured. Almost always made of metal or stainless steel, this hand held tool has a flexible, spiral attachment that rests under the strainer to rest comfortably on top of a pint glass and add ease when pouring.